Corey grew up in Harmony, NC (pop. 534), graduating from Campbell University with a BA in Religion, and then earning his Master of Divinity at Liberty University in 2013. Corey attributes much of his enthusiasm for the youth ministry to the experiences he had when he was younger. As a youth pastor, he looks forward to creating memorable moments with the youth as they love and serve others, both locally and on overseas mission trips. 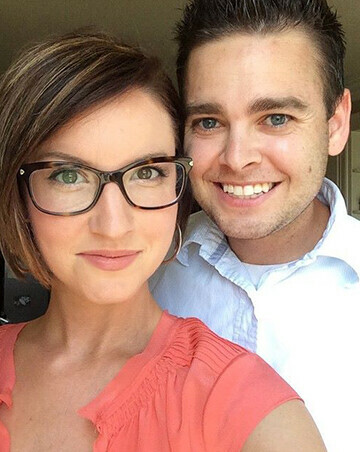 He and his wife, Leah, met through a campus ministry while at Campbell and have been married since 2011. They enjoy time with their daughter, Lila, and with their dogs, Zoe (the Great Dane), Tater, and Frye (the Chihuahuas). If Corey is not spending his downtime with family or playing soccer, golfing, or snowboarding, you may find him developing his carpentry skills. He finds building furniture especially satisfying; with a Great Dane in the house, this may prove to be a valuable pastime!